As Twins fans, we tend to look at roster moves through Twins-colored glasses. We know there are approaches to roster construction and talent acquisition outside of the Falvey/Levine mold and we try our best to keep track of them, but it’s difficult and time consuming to monitor 29 other rosters for ideas the Twins could adopt. Unfortunately opposing players don’t have 'amateur free agent' or 'trade acquisition' on their jerseys along with their name and number. The good news, friends, is that your humble author has done the hard work for you. Over the past few weeks I’ve studied the teams that made the 2018 postseason in an effort to better understand to what degree they relied on homegrown talent (i.e. drafted and signed internationally) and external talent (i.e. free agents and trade acquisitions) to reach the postseason. I looked at every player that suited up for these clubs and tracked how they were acquired and how they performed. The results were surprising and fascinating, showing one key area where the Twins have fallen behind - an opportunity they can’t afford to continue to miss if they want to return to the postseason. All WAR figures are based on FanGraphs’ WAR formula. If you aren’t a fan of WAR, you may want to turn back now, but you’re reading a baseball site on Super Bowl Sunday so my guess is we’re safe. The 2019 Twins projections below are FanGraphs’ Depth Chart projections, which are a blend of Steamer’s projection system and playing time estimates by FanGraphs’ staff. Several types of averages below help summarize the postseason field as a whole, including median, unweighted average (mean) and weighted average. The weighted average favor the clubs that advanced further into the postseason (crediting 19 games for advancing to the World Series, 12 games for advancing to the league championship series, and so forth). So the Red Sox are weighted more heavily in that average than the A’s, for example. 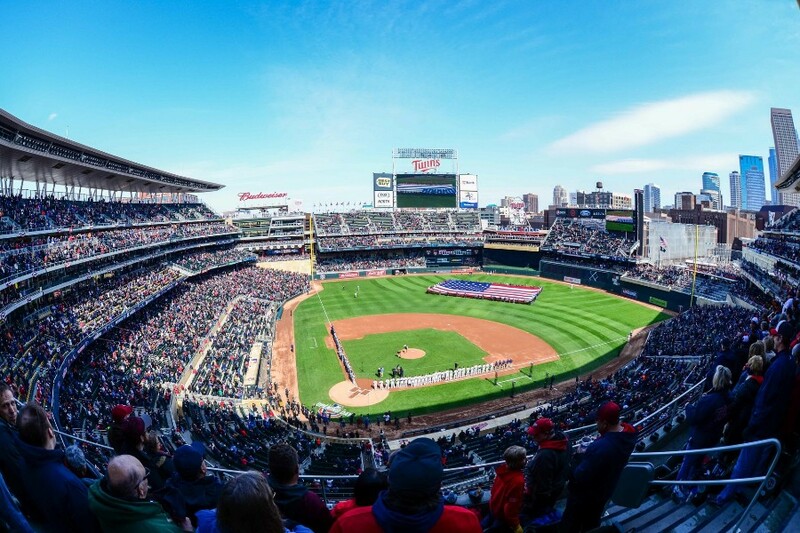 The “Small Market Average” is an average of Cleveland, Oakland, Milwaukee and Colorado, meant to represent the postseason clubs more closely aligned with the Twins’ revenues and spending capabilities. In fact, players the Twins drafted or signed as amateur international free agents contributed 19.6 wins to the 2018 club, roughly even with the average playoff team. Among the contending clubs, the Red Sox and Rockies led the way with 23.7 and 23.5 wins respectively from their homegrown talent, while the Brewers managed to lead the National League in wins despite only 3.6 wins’ worth of production from players they’d drafted or signed internationally. Fangraphs projects the Twins’ drafted and international signings to continue to produce at or above the level of a postseason team in 2019, but 2018 showed us that this won’t be enough to take the club to October. So if the Twins maintained pace with baseball’s best in homegrown production and still fell short, where did the eventual postseason clubs pull away? While the Twins got a mere 1.3 wins from players acquired via free agency, playoff teams enjoyed an average of nearly 8 wins apiece. There were outliers even within one division, with the Dodgers needing nearly 14 wins from former free agents to squeak into the postseason while the Rockies needed less than 2 free agent wins to do the same. The NL West race also demonstrates a split in strategy between larger- and smaller-market teams, with the smaller predictably relying less on free agents than their larger-market counterparts. If Twins fans are looking for some good news, it’s unlikely their luck will be nearly as poor in 2019. FanGraphs has rosy projections for former free agents Nelson Cruz, Michael Pineda and Jonathan Schoop, but a return to the postseason will likely hinge on every ounce of the 13.5 wins FanGraphs projects the Twins getting from players acquired in free agency. But here’s where things get interesting, because if the homegrown core still looks promising and the free agent acquisitions appear poised for fairly strong production, there’s only one player acquisition strategy left that jumps off the page as a missed opportunity for the Twins, and if you took a close look at the charts above you may be way ahead of me. Outside of the trade for Jake Odorizzi, the Twins have been largely absent from the trade market, and it shows when you compare them to the best teams in baseball. Excluding midseason trades, which we’ll omit due to the Twins having very different goals in those trades than the other teams on this list, trade acquisitions contributed only 6.1 wins to the Twins in 2018, and those were largely concentrated between Odorizzi and erstwhile fan favorite Eduardo Escobar. By comparison, 2018’s postseason teams averaged a whopping 17.9 wins from players acquired via trade, again excluding midseason trades. That’s nearly 40% of their production coming from such trades, and the number balloons to nearly 50% when you look at just the smaller market clubs. The A’s and the Indians have written the book on building a small market contender by acing the trade market, with the A’s acquiring over half their 2018 production and the Indians acquiring four of five pieces of a dynamic rotation (all of whom were worth 4 or more WAR) via trade. If there’s one lesson to take from this review of the 2018 postseason field, it’s that effectively leveraging the trade market is critical to building a postseason contender, and the Twins have not kept pace with their competition. Twins fans have seen what can happen when trades go wrong, but we also saw in 2018 the effect that conservative trade activity can have on a club that has eyes on the postseason. Is it time to get out there and make some aggressive moves? Interesting data. I agree with Brandon on the trade angle. Data can be very skewed depending on the assumptions used. Unlike FA, which usually is dictated by $$ and yrs, trades become more of a hit and miss. I like that you disregarded the in-season trade data, but even pre-season trades are influenced by the team's internal needs assessment AND the trading partner needs and evaluations. Sometimes there just isn't a match. But mostly, I think trades happen when one is closer to that level of expected success. Given that however, if the Twins aren't active in the trade market to improve going forward, I will be very disappointed. The time is near or here, that we should expect acquisitions to get them into the playoffs. The one disclaimer may be that the FO's approach is to build for long-term success vs. a short run at it, which may curtail any major moves in the short term. The point is clear. This team has been bad at trading and signing free agents. Coincidentally, that's the only part this FO has control over, since no draft picks or international signings can reasonably be expected to be up yet. But someday they will play for the present. Or sign good free agents. Cruz should be good, but my expectations are pretty low for the rest. Great work. There is however one step missing and that's the distinction between trades for established players vs trades for MiLB players or MLB players that have yet to become established. The two trades represent significantly different strategies. The starting rotation for Cleveland you mentioned were all acquired as prospects. This is an absolutely crucial distinction if the purpose of the analysis is the evaluate the role of various acquisition strategies. While it's debatable, I would not use the cumulative WAR for the entire roster. The 1WAR players are not responsible for getting a team to the playoffs.The question is ... How where did the impact players acquired. Enjoyed reading. Would love to see a next step of trade analysis. I haven’t quite concluded the FO has been “bad” at trading, but the data seems clear that immediate roster impact has been low — largely by design. The one variable in this discussion is the Yankee team.For 60 years I have watched the Yankees consider the rest of the teams, or at least the poor teams to be their farm system and therefore every player is part of their own pool.It is just a matter of when they will gave that person in by call up, trade, or free agent. The current regime is very good at trading. If you are talking about TR, there was no one left to trade after they obtained Meyer and May. My expectations are high for the rest. Guess that ties it up, 1 to 1. I like the Odo trade, would like it more if they're get some top of the rotation guy (s) too. Not convinced on any others at all. Jim Callis wrote an article recently, stating we were one of 5 teams that improved our farm system the most. Can't help but notice, the national experts are much higher on our favorite team, than many on the board. Also, top of the rotation guys don't grow on trees and every team is looking for them. To get anyone to answer the phone, I would guess you're talking a minimum of Thorpe and Graterol. I don't have access to that. Was that about the trades, or draft picks improving the farm. They have a super deep farm, which is great if you actually do something with it. They haven't traded for MLB players. And, until some graduate and help the team more than a replacement player, it's all projection, and not value. Which, again, great. But so far, not much help. Here's the Twins biggest recent misfire. Though I was (mistakenly) of the opinion that Gardenhire had gone stale, truth be told 2014 was the last year the Twins hit the ball really well and many of the hitters on the 2014 team never hit the ball as well ever again. The 2014 pitching was terrible, but we know now this wasn't Gardenhire's fault. Without Santana and later Berrios, Molitor's years would have been at that same catastrophic level of starting pitching. Firing Gardenhire was a mistake, I'm sorry to say. His absence was felt immediately. Callis is at MLB.com so you should have access( I read the article at TwinkieTown). He gave a big picture view and I'm too lazy to go back and view the specifics. You know about Odorizzi, an IFA was traded for Cave, as was Ynoa for someone I can't recall. The new regime has only been here for a little over 2 years, so it hasn't had time to develope. A very interesting and informative article. Thanks for doing the grunt work, Greg. I'd like to see a comparison of the semi-contending also-rans. As trade deadline sellers, for a third of the season, the Twins numbers naturally take a hit while the playoff buyers naturally get a boost. While I doubt the difference is considerable, it's one of many variables to consider. In any case, I agree with your main point that the better teams better themselves in part through trades. And a GM doesn't have to be a master of fleecing other teams to succeed. Good deals often help both sides improve. ah right, I forgot he wasn't at BA. Thanks! So far in trades we have we traded for Garcia then traded for Littel, Ennsburg. We traded Kintzker for 500k in international bonus and watson. We traded 500k international signing bonus twice for a minor league C, and Pearson OF. We traded a low level minir leaguer for Cave. We traded an A ball SS for Odorizzi. Then we traded Escobar, Dozier, Pressly, Lynn and Duke and our closer for 14 prospects. While i hated selling at the deadline these are good moves for the longterm. And this is a lot of trades for 2 years. Not Dipoto level but still a lot of trades. His presence was felt immediately? You mean how they won 13 more games after he was fired? I agree with part of what you said, but firing Gardy was the right move and it that seemed like our first move from stepping away from the "country club" feel this team had. I do think Molitor was a poor manager, but I think you're overestimating how much he affected the team. Retroactively it would have been nice if the team would have started the rebuild from 2014 on, with a new front office and outside hire as the manager. Kinda feels like TR was treading water by hiring Molitor and hanging on for a couple more years. There are 8 position players on a team plus the DH. Baseball is in a better position than any other sport to be able to screen players because there are youth leagues, high school, college, plus a well established multi level minor league system. In addition, baseball is played world wide and the Latin American influx of great players is now a huge part of rosters. More and more Far Eastern/Oriental players are coming into the Major Leagues. Given all of this world wide exposure that players get and the ability to use technology to communicate visually with players and coaches world wide, there is no excuse for not fielding a competitive team at the Major League level and it is classic laziness to look for an easy way out. Reading data and looking at numbers is the easy, lazy way out. Staying in constant contact with coaches and teams world wide and using technology to assist in screening players the old fashioned way is the answer and always has been. Its called scouting followed by player development. Go ahead, sit in a room and look at cumulative WAR stats or whatever. Then continue to wonder why 70-80 win seasons (or worse) are the norm. Reading data and looking at numbers is the easy, lazy way out. Who do you believe is doing that?